The Three Day Rule is a magic formula of performance prep tips I’ve used with my private clients over the past 3 decades of coaching professionals in New York City. It’s a list of tips for exactly what you need to do and stay away from for three days before a show to make sure you’re doing everything you can to have a solid vocal performance. You may want to do longer than 3 days but at least 3 days as a minimum preparation. Once you follow the 3 Day Rule, you’ll never look back! Works like a charm. Hope it helps you have more control over your instrument! No kidding. Water moisturizes the vocal folds and acts like a lubricant. It makes your voice flexible and resilient and you’ll hit higher notes with more ease and clarity. Use a salt-water spray for your nose morning and night for three days prior or try D-Hist natural antihistamine and avoid side effects and ingesting unwanted chemicals and toxins. That means no milk, no cheese, and no yogurt! Dairy causes phlegm and interferes with singing. That means no coffee, black or green tea, no Coca-Cola, no chocolate or hot chocolate. Caffeine in any form is dehydrating. Sodas, alcohol, cooked tomatoes like marinara sauce, citrus fruits or juice, caffeine, chocolate and peppermint tea or gum all cause acid reflux that burns the mucous membrane of the vocal cords. The result is irritated and inflamed vocal cords, which translates into raspiness/hoarseness and a compromised vocal range. If you have these issues, schedule a Cole Power Hour and I can troubleshoot your issues (and often solve the problem in one hour and set you up with a plan for your return to health.) If you’ve been losing your voice for more than 3 months and have lost a good portion of your range, go see an ENT who specializes in singers voices. In NYC, consult the fabulous ENT Dr. Scott Kessler 212-496-9300 for diagnosis and treatment and visit http://www.texasvoicecenter.com/advice.html for more info. In Nashville go see the Vanderbilt Voice Center for treatment. For some people, spicy foods can also cause acid reflux, which burns the vocal cords and leaves them dry and chaffed. This will cause problems with high notes and shifting registers will be bumpy. Your voice may cut out when you go to hit a note (quite disconcerting!) Reflux over time can also cause a vocal nodule so you want to eliminate anything that can contribute to one. However, I have found that light to moderate spicy foods like jalapeno or cayenne pepper is fine. You just don’t want to eat super spicy! Eating late also causes acid reflux regardless of what food you eat. Leave 3 hours after eating before bedtime. If you eat late, do not lie flat. Prop yourself up with one or two pillows. Position the pillow under your shoulders so your neck is not strained. This will help keep the stomach acids from washing up onto your vocal cords. Keep your vocal cords clean and mean! Alcohol is dehydrating. One beer or one glass of wine during this time won’t kill you but it won’t help you! However, absolutely NO hard liquor. Hard liquor (rum, tequila, vodka, gin, whiskey) is extremely drying. It is best to completely stay away from alcohol of any kind 2-3 days prior to performing. If you are a singer you shouldn’t be smoking period. 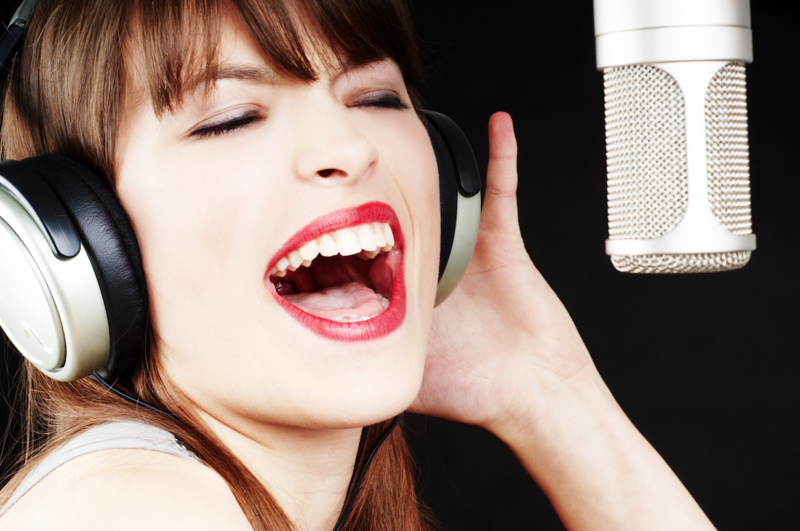 It makes singing so much harder than it should be and can cause polyps, hemorrhages, and other vocal problems. When you smoke, your vocal cords are in a constant state of dryness and irritation which causes friction which can cause nodules or polyps (and vocal hemorrhages.) Stay away from second-hand smoke three days before a performance as well. If you are a pot smoker, using a vaporizer is less damaging to your vocal cords and health than smoking a joint. For those of you who have trouble sleeping try herbal teas (chamomile rocks!) Another remedy that works with some people is to take 500 milligrams of calcium an hour before bed to get a more restful sleep — works wonders. Check out www.travelwellness.com for her natural sleep aides for performers too! There are a lot of syrups and gargles to use if you’re voice is hoarse before a performance. And if you have recurring hoarseness, you’ll want to see a voice doctor and vocal coach to get to the root of the problem. However, this little known trick has helped many singers at my studio so I’ll share it with you. It’s a homeopathic remedy called “Roxalia” made by Boiron, also called “Sore Throat Hoarseness.” This remedy helps to reduce swelling at the vocal folds. Take for three days prior and the day of singing. Also try Nin Jiom Pei Pa Koa, a Sore Throat Syrup sold on Amazon. Many singers sware this makes their throat less raw and hoarse. It won’t fix the problem like Roxalia, but is a soothing alternative. Steam with 4-5 drops of essential oils of lavender and eucalyptus (use pure and organic essential oils) in a pot of water. Put a towel over your head and breath in the steam. It will help to loosen mucous and hydrate your cords at the same time. Or you can steam with plain water or by breathing in shower steam (take a long hot shower.) Sometimes I make a cup of Throat coat tea and inhale the steam from that.